A study into bacteria on the International Space Station (ISS) found that it did not mutate into dangerous, antibiotic-resistant superbugs. The research did discover however that bacteria on the ISS did have slightly different genes from its counterparts on Earth, but they were not harmful to humans. 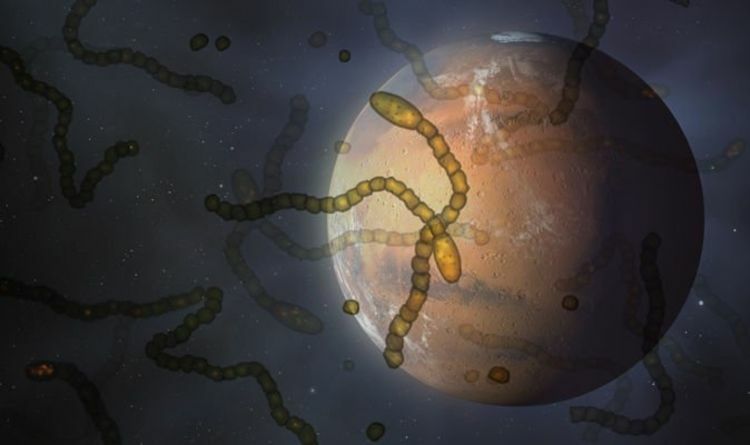 This is good news as it had been feared that on a gruelling mission to Mars, which could take upwards of six months, bacteria could evolve in space’s harsh conditions and become harmful to their host. Study leader Doctor Erica Hartmann, of Northwestern University in the United States, said: "There has been a lot of speculation about radiation, microgravity and the lack of ventilation and how that might affect living organisms, including bacteria. "These are stressful, harsh conditions. Does the environment select for superbugs because they have an advantage? The answer appears to be ‘no.'" Study first author Dr Ryan Blaustein, a postdoctoral fellow in Hartmann's lab, said: "Based on genomic analysis, it looks like bacteria are adapting to live, not evolving to cause disease. "We didn't see anything special about antibiotic resistance or virulence in the space station's bacteria." Dr Hartmann added: "Everywhere you go, you bring your microbes with you. "Astronauts are exceedingly healthy people. But as we talk about expanding space flight to tourists who do not necessarily meet astronaut criteria, we don't know what will happen. "We can't say that if you put someone with an infection into a closed bubble in space that it won't transfer to other people. “It's like when someone coughs on an airplane, and everyone gets sick." Each day, the prospect of living on Mars gains traction, with the likes of China, NASA and private space firms such as SpaceX striving to get there. NASA astronaut Buzz Aldrin said that a Mars colonisation is achievable by 2040, while tech billionaire Elon Musk is more ambitious and says that he hopes to get people to the Red Planet by the 2030s. Last year, the SpaceX CEO said that can be accomplished in about 10 years, “maybe sooner, maybe nine years”.